One of our biggest concerns in our family is food security. One of the easiest ways to get food security is to grow most of your own food. With a very small garden, we have managed to easily grow and harvest about 75% of the food we eat on a daily basis. The only foods we don’t grow are things like rice which is water and labor intensive and beans which are also incredibly labor intensive. 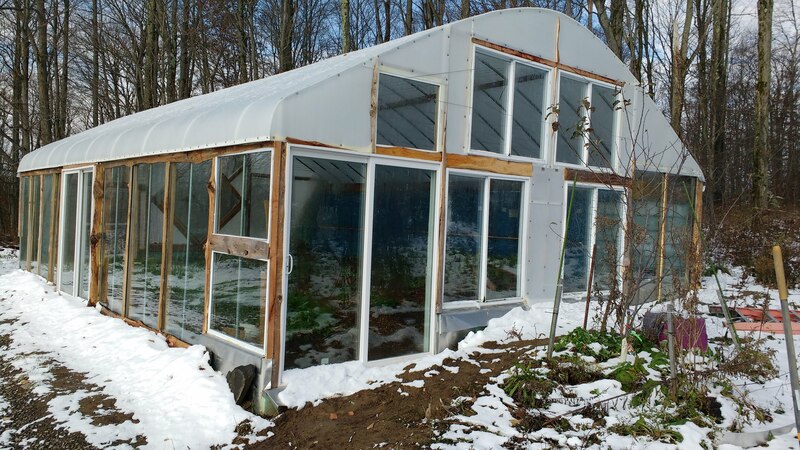 At some point last year we decided to build a greenhouse to grow food year round, but we didn’t want to heat it (we are off grid) and we had a budget of $4000. After about 500 man hours of labor and less than $4000 for materials, we’ve created something we are pretty proud of and that doesn’t seem to usually dip much below freezing even without heat.